Melbourne Bike Share is designed for short trips across the city by sharing bicycles stationed at 51 locations throughout the city. There are around 600 Bicycles and the program is run by RACV in a public – private partnership. Due to the low ridership, government’s plans to sell it to a private operator who could invigorate and expand the system could not go ahead. The legal requirement to wear a helmet has been cited as an explanation for the scheme’s persistently low patronage, with critics arguing it puts off casual users. To overcome this teething problem, thousands of $5 helmets are sold near docking stations. 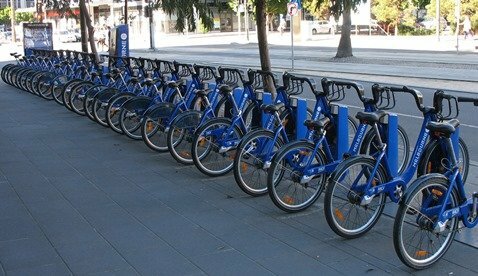 In 2013 Government started to provide free courtesy helmets on bikes by attaching the helmets to the handle bars of a portion of the Bike share fleet. This topic contains 0 replies, has 1 voice, and was last updated by Administrator 3 years, 11 months ago.